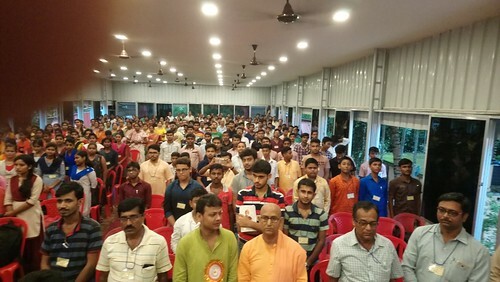 In commemoration of the 125th Anniversary of Swami Vivekananda’s Chicago Addresses., Ramakrishna Math, Bamunmura organized a Youth Convention on 11 September 2018. 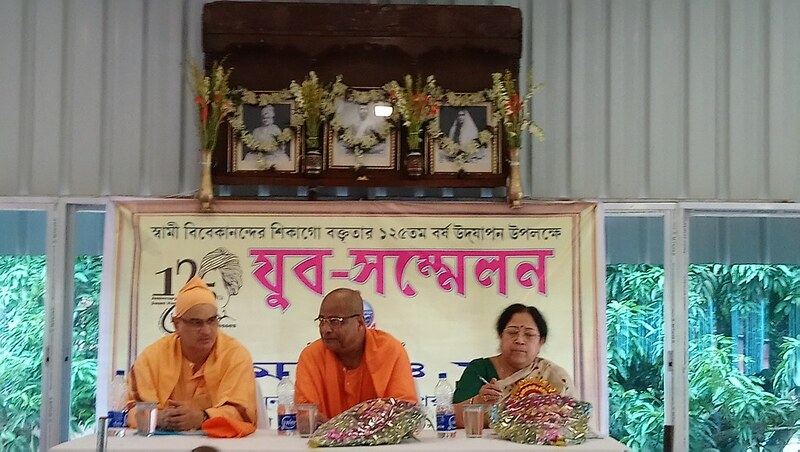 The convention was presided over by Swami Vedaswarupananda, Ramakrishna Mission Institute of Culture, Golpark while Swami Durgatmananda, Dr Sabujkali Sen, Vice Chancellor, Viswabharati, Shantiniketan & Smt. 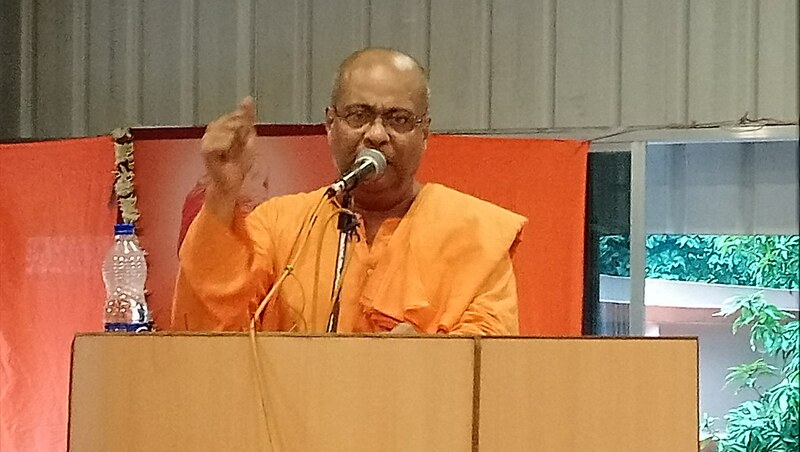 Antara Acharya I.A.S., the District Magistrate of North 24 Parganas were the speakers for the occasion. Besides Patriotic Songs, Instrumental Music, Recitations, & Speeches by the delegates were parts of the programme. 475 delegates attended the programme. At 3.30 p.m, conchs were blown. 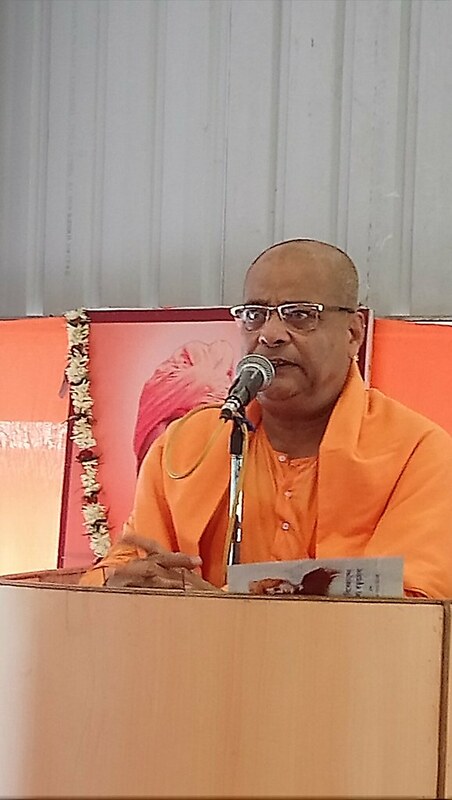 Commemoration of 125th Anniversary of Swami Vivekananda’s Historic Chicago Address.